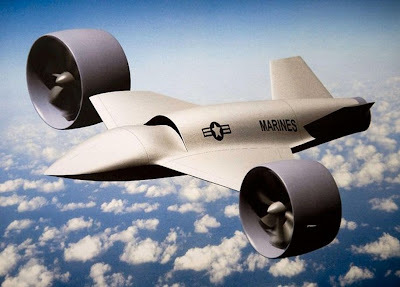 The AD-150 is a high-speed VTOL unmanned aerial vehicle that is being developed by American Dynamics Flight Systems as a future competitor for the United States Marine Corps' Tier III VUAS program as well as other current and future United States VTOL UAV programs. 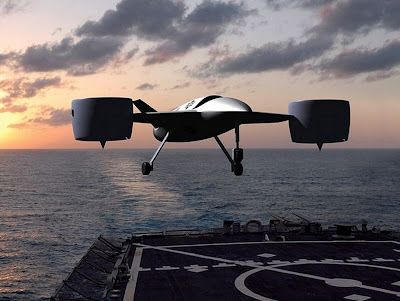 The AD-150 program began in response to continued interest in maritime capable VTOL UAVs by the United States Department of Defense. The AD-150 utilizes two wing-tip mounted High Torque Aerial Lift (HTAL) lift and propulsion systems to provide the thrust needed to sustain and transition between hover and forward flight. The two HTAL systems are driven by a single Pratt & Whitney Canada PW200 Turboshaft engine. The vehicle's propulsion configuration is similar to the Doak VZ-4 in that the 2 propulsion systems are able to tilt from vertical to horizontal mode in order to achieve high-speed forward flight. Unlike the Doak VZ-4, however, the propulsion systems in the AD-150 are also able to pivot longitudinally. A full-scale model of the AD-150 was displayed for the first time at the Association for Unmanned Vehicle Systems International's (AUVSI) Unmanned Systems North America exhibition in Washington D.C. on August 7, 2007.